It's week two with the talented Laura Bassen as our muse at CASE Study! 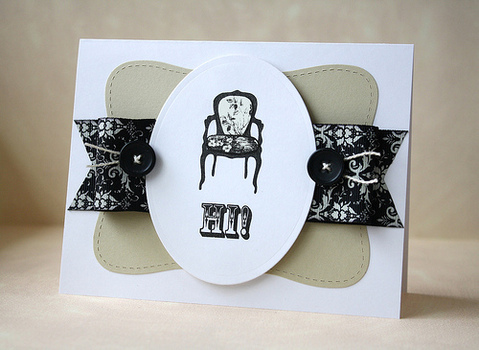 This week Laura's card has a classy, elegant feel to it. I love the clean lines and of course that amazing color combo! 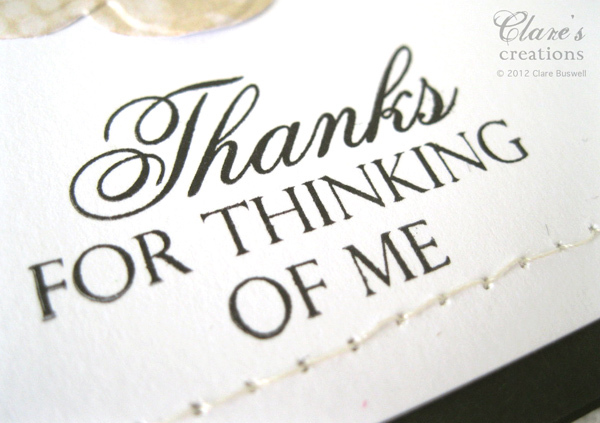 I CASEd these elements in my card and the use of dies, along with a ribbon treatment. 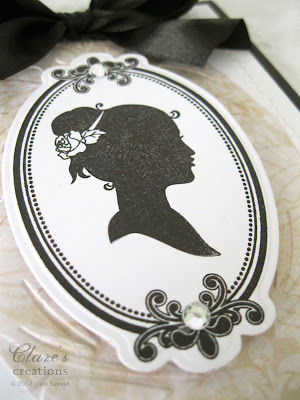 I love cameos and silhouettes, this one is from Sweet Silhouettes from Layers of Color designed by Nina B. It's no longer available but I do believe it may be released under a different stamp company soon. I love the little details in the silhouettes. SO pretty! I used Spellbinders Labels 10 to die cut the labels, the frame is from the same stamp set. I embossed the beige label using Sizzix Flowertopia embossing folder. The paper is a digital paper from Blue Jean Gypsy Paper Pack by Quirky Twerp from the Digichick. 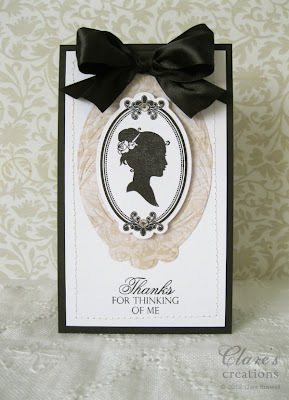 The lovely sentiment is from the same stamp set Sweet Silhouettes from Layers of Color. I really hope this stamp set is released again soon. It's jam packed with the most gorgeous sentiments! Don't forget to visit the CASE Study blog to see the amazing creations from the rest of the design team. If you have time this week do play along, we'd LOVE to see your creations! Better get to work on some projects, just when I thought my list couldn't get any longer, it DID! Labels: Case Study, Layers of Color, Nina B, Silhouette. So classy and elegant - love these colours together. This is so elegant, and the stamps are beautifully detailed. Gorgeous! Another handmade jewel; based upon a classic color combo that looks so chic and elegant! Hi Clare! Another beauty! 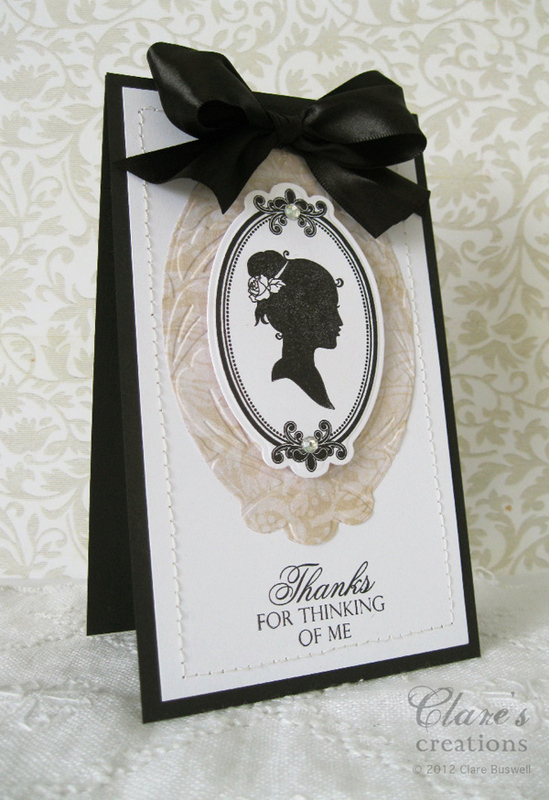 The black, white, beige with that classic cameo and satiny ribbon make this one a real stunner! Beautiful card! Love that elegant color combo. Your attention to detail is amazing. Gorgeous!!! Love these elegant colors and your cameo is perfect!! !